Photos — Is Ashburg Kato Dating A Transgender? Howwe.Biz has some blockbuster news – its rumor though that is trending social media right now. 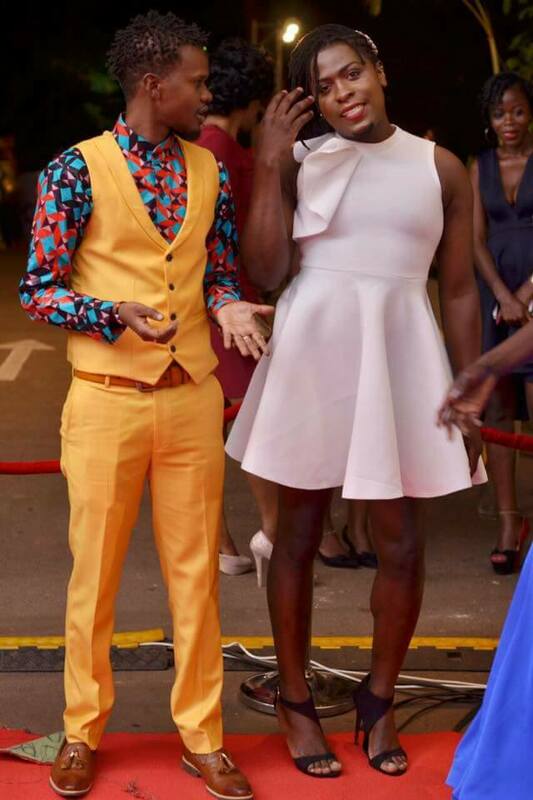 According to the gossip available, popular ‘Facebook blogger’ Ashburg Kato is now dating the popular transgender queen in Uganda commonly known as Keem Love. We have heard its real dating, not a jump off situation. Recently, the ‘couple’ was seen at Serena Hotel on Friday hand in hand to attend the came to the ASFA. Social media claims that Kato and Keem have been low key seeing each other for months, and now they’re ready to take it public. And yes, here are the photos off their recent outing making rounds on social media. It should be noted, Keem Love was born a man but decided to turn a woman because ‘she’ apparently felt comfortable being that gender.